Forthcoming quarterly results from the UK’s two largest oil companies, BP (BP.) 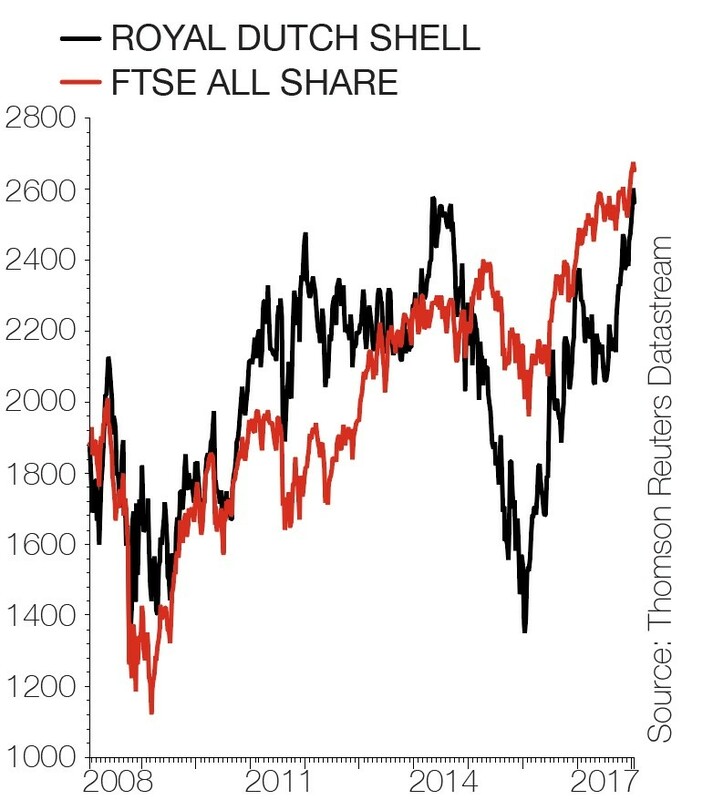 and Royal Dutch Shell (RDSB), come at one of the most exciting times for their sector. Oil prices have started 2018 with a bang and are currently trading at levels not seen for three years at just under $70 per barrel. We think the oil and gas sector is poised for a rebound as this oil price strength helps a streamlined set of companies deliver higher profit and cash flow and leads to improved investor sentiment. In this article we will look at the major oil producers, the small and mid-cap exploration and production companies, alongside the oil services sector. It is also worth considering that BP and Shell are popular holdings among many income funds, so they too should enjoy uplift from the stronger oil price. Furthermore, we take a look at the performance of oil over the last decade and highlight the key market-moving events over that period. The latest rally in oil prices has been driven by various factors. These include OPEC (a producers’ cartel) production curbs, US dollar weakness, world economic growth and a surprise drawdown in US inventories. And when the international benchmark for oil, Brent crude, hit $70 per barrel in early 2018 it marked a significant moment in the rehabilitation of the market after the collapse in 2014. This had seen oil fall from more than $100 per barrel in June of that year to around half that level by the time we moved into 2015. At its nadir in early 2016 the black stuff had traded below $30 per barrel for the first time since 2003. 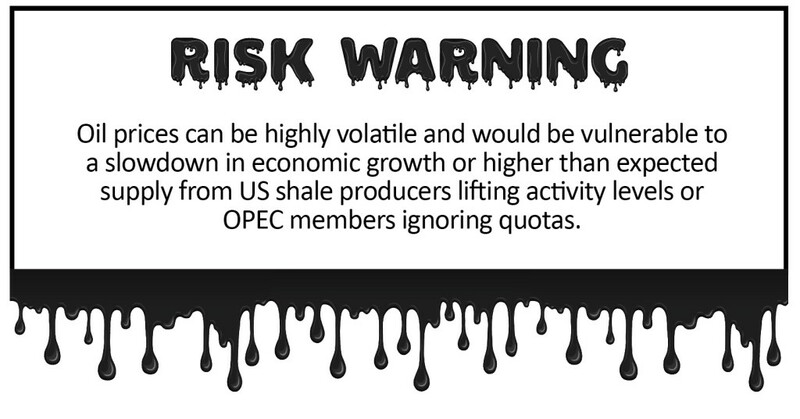 This was driven, in part, by the ramping up of production from US shale and supply concerns amid uncertainty in the global economy. It also resulted from a failure to act on the part of a Saudi Arabia-dominated OPEC which was looking to defend its market share against a flood of new unconventional US supply before eventually capitulating. Analysts at investment bank Morgan Stanley recently upgraded their forecast for oil to hit $75 per barrel in the third quarter of 2018 – in part due to the behaviour of the oil futures market. CONTANGO AND BACKWARDATION – WHAT DO THEY MEAN? The oil market has been in a state of backwardation – we’ll explain this in a second – since the end of 2017 and Morgan Stanley expects this trend to persist through 2018. With the paper market in oil 50 times greater than that of the physical market in its estimation; the inflows from traders attracted by the attractive return profile created by backwardation can underpin oil. So what does backwardation mean? First we need to understand something called contango. Contango refers to the market condition whereby the price of a futures contract in a commodity is trading above the spot price. The resulting futures ‘curve’ would be upward-sloping with prices for dates further in the future trading at even higher levels. Backwardation describes the reverse – where futures are trading below the spot price – often because of short-term tightness in the underlying market. When an investor rolls contracts (sells them and buys new ones) to avoid taking delivery of raw materials, returns are diminished in the case of contango. They are enhanced in the case of backwardation. A key factor to watch later in the year is OPEC’s next meeting on 22 June as the outcome could have a pronounced effect on the oil price (good or bad). In November 2017 the oil producers’ cartel extended production curbs which had been due to expire in March 2018 through to the end of this year. That in turn, as we discussed earlier, helped to support a rising oil price. The oil price collapse in 2014 forced oil producers to divest billions of pounds worth of assets as well as drastically scaling back costs and spending to adapt to harsh new realities. Although still huge companies with large numbers of moving parts, both BP and Royal Dutch Shell are more streamlined operations than they were four years ago. Investment bank Investec has previously commented ‘there is good evidence to suggest that upstream profitability is independent of the oil price – costs adjust over time and the margin remains intact.’ Upstream refers to finding and producing crude oil and natural gas. It is sometimes known as the exploration and production (E&P) sector. BP and Shell have arguably been adjusting their cost base to balance the books at a price of around $50 per barrel. Given Brent averaged just over $50 per barrel in 2017 this was a sensible approach. At $70 per barrel there should be significant scope for positive earnings surprises. Investment bank Morgan Stanley believes that even if oil stayed at just the $60 mark, the ‘majors are set for record free cash flow, improving return on average capital employed and falling gearing’. Gearing is essentially the ratio of debt to the value of a company’s shares. Some of the benefit from higher oil prices is likely to be reflected in forthcoming fourth quarter results although this may be slightly obscured by one-off charges. Shell is setting aside $2bn to $2.5bn and BP has allocated $1.5bn to cover the impact of US tax reform. They have to recalculate the deferred tax assets built up on their balance sheets. In both cases the cut in US corporation tax from 35% to 21% is expected to be a long-term positive and these write-offs won’t have any impact on cash flow. BP’s results will be further obscured by a $1.7bn charge relating to the 2010 Deepwater Horizon oil spill in the Gulf of Mexico. This follows higher than expected BEL (Business Economic Loss) claims linked to the disaster. 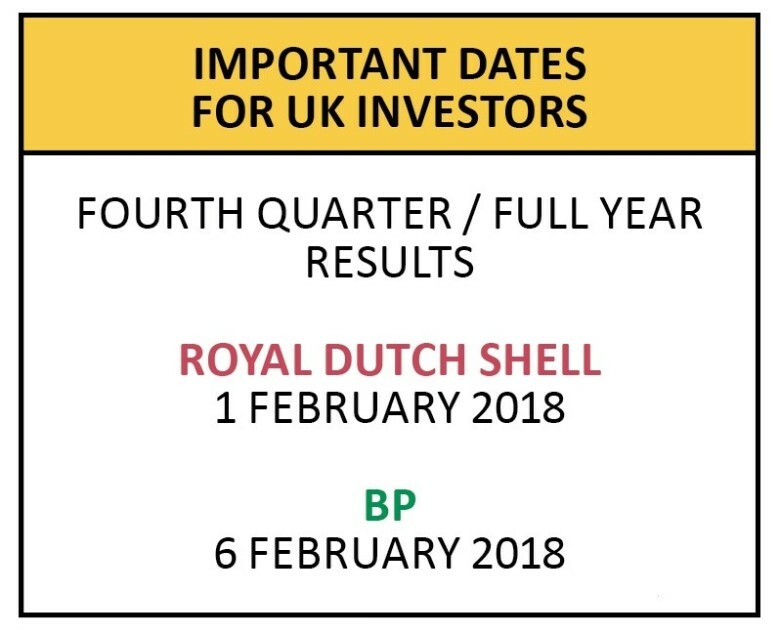 For this reason, Shell looks a lower risk way to play the oil price recovery for the time being, although you could argue that all these bits of news are already in the market and therefore already priced in to their shares. Investment bank Macquarie says of the 11 global integrated oil firms it covers in terms of equity analysis, ‘Shell’s portfolio is the largest and remains robust; we estimate it will have the highest level of production and cash flow growth relative to its large cap peers’. Unlike the integrated oil majors, E&P companies focus purely on the ‘E’ – exploration – and ‘P’ – production – sides of the industry. In the UK most of these companies are either small or mid-cap operations. Higher oil prices are useful to these operators in several ways. For example, it should make a significant difference to producing companies’ financial position. Premier Oil (PMO), for example, should be able to materially reduce the $2.7bn debt position built up during the financial crisis. It has operating costs of between $18 and $19 per barrel and is ramping up production from its Catcher field in the North Sea. ‘A stable oil price above $60 per barrel is likely to be viewed as ‘light at the end of the tunnel’ by many E&P management teams, shifting the focus from debt obligations and covenants to distributions and growth,’ says Edison analyst Sanjeev Bahl. The higher oil price could also make it easier for Premier to secure partners to help finance the development of its substantial 2017 oil discovery offshore Mexico. Other oil explorers may benefit after a long period when so-called farm-out deals were very difficult to achieve for all but the most attractive projects, as the market has been flooded with assets being sold off by the majors. Eco (Atlantic) Oil & Gas (ECO:AIM) is among the small cap exploration plays which could be in focus this year, thanks to its position in one of the world’s hottest exploration postcodes. Its shares have nearly doubled in price since September 2017 after ExxonMobil announced a sixth big discovery on the Stabroek block, Guyana. This asset neighbours Eco’s 40%-owned Orinduik block. French energy giant Total is currently working through seismic data with an option to acquire a 25% stake in Orinduik for $13.5m with a deadline pitched around the end of the first quarter of 2018. In theory the companies which provide equipment, materials and services to the oil and gas sector should benefit from the buoyant outlook for the industry. Having completed the £2.2bn merger with Amec Foster Wheeler in October 2017, Wood Group (WG.) will be trying to integrate the acquired business in 2018. Management are eyeing synergies of at least £110m a year. Hunting (HTG) is one sector constituent which analysts are excited about for this year. Both Morgan Stanley and Macquarie have switched from a negative to a positive stance on the shares based on strong US demand for Hunting’s perforating gun, a device use to penetrate oil and gas wells in preparation for production. Macquarie thinks Hunting will continue to push through price increases for its H1 gun which it says is taking market share through ‘superior operational efficiency’. 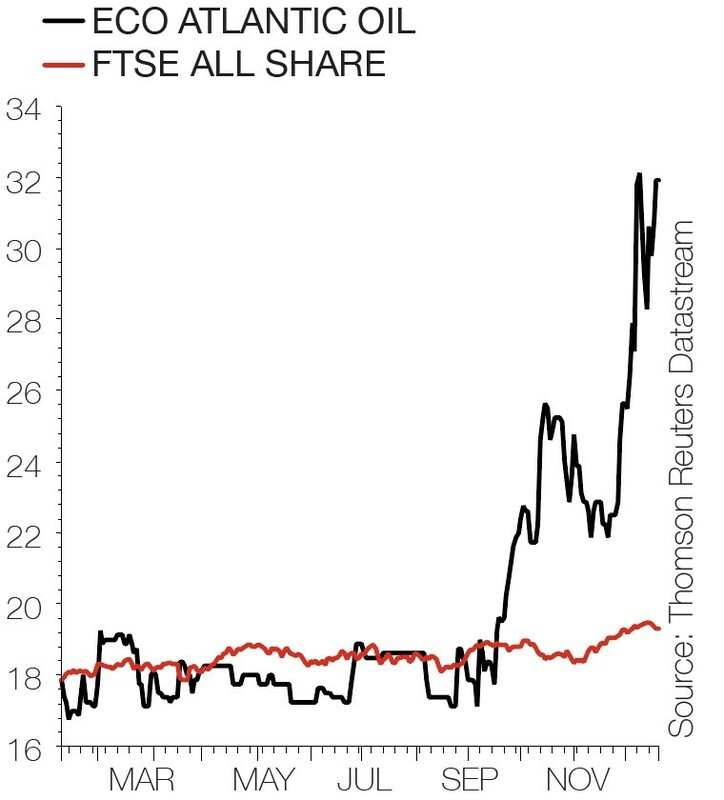 However, trading at 632p and up nearly 40% in the last three months, Hunting’s shares may already be pricing in an improved backdrop. 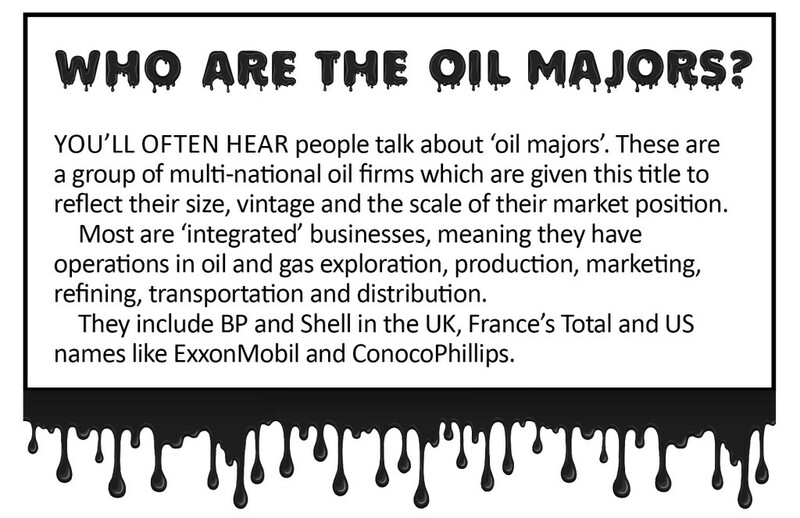 The fortunes of the oil and gas industry are not only relevant for investors with a direct interest in the sector. According to AJ Bell’s Dividend Dashboard report, BP and Shell account for more than a fifth of the FTSE 100’s forecast dividends for 2018 and many UK equity income funds will have these companies in their portfolio. 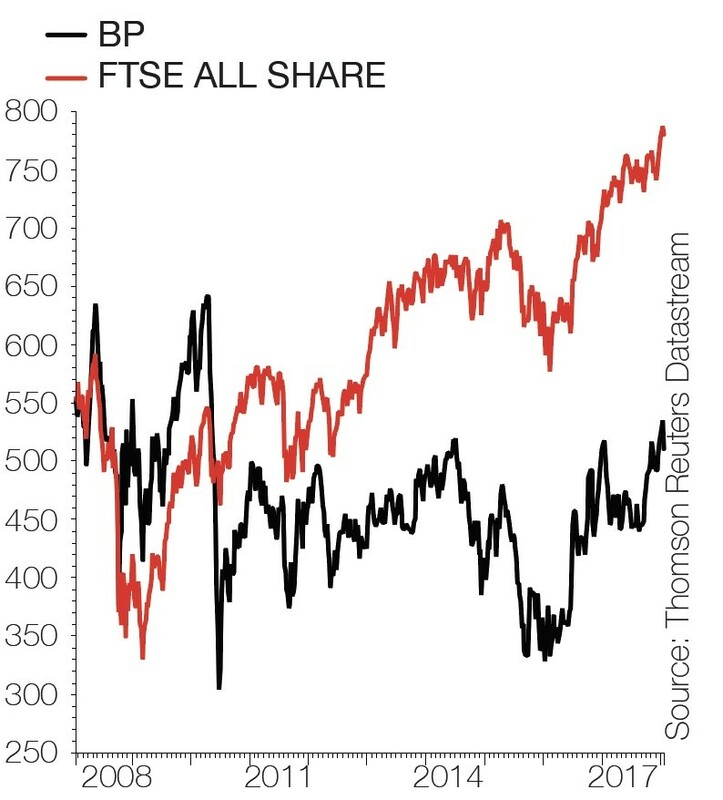 Funds with BP and Shell in their top holdings include Invesco Perpetual High Income (GB00BJ04HQ93) and River & Mercantile UK Equity Income (GB00B3KQG447). US-listed stocks with 15% in Canada and 11% in the UK,’ says Russ Mould, investment director at investment platform provider AJ Bell. Can you make money from investing in outsourcing companies? Can Domino’s deliver more sales momentum?